A Visit with the Past.. It was early summer 1973, and I was stationed at Fort Polk, LA when I was given a temporary assignment to Fort Wolters, TX. I figured they knew I was from Fort Worth so they got me close to home. 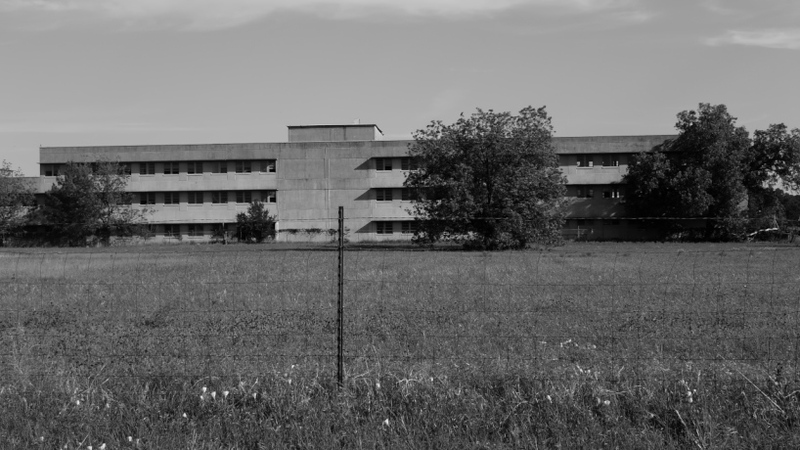 Anyhow, the photo is of the US Army Hospital at Fort Wolters, TX. I stopped by this week, while out doing some old school photography, yes big camera and big sheets of film. It was kind of strange to drive around the post and see how things had and had not changed. Some of the areas are being put to good use, other areas – well other areas made be quite sad. The old hospital was one that made me sad, it sets empty almost 40 years later, yet it was quite a modern facility in the day. MY GREAT GRANDPARENTS WERE 1ST GROUP OF SETTLERS BY THE NAME OF JESS AND MARY HODGKINS. I HOPE TO GET TO MEET YOU.